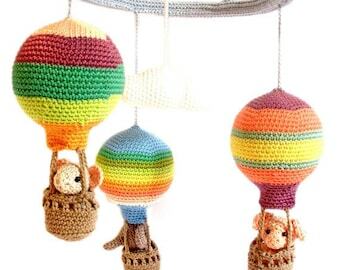 This adorable woodland mobile is made to entertain your baby and encourage important development skills. 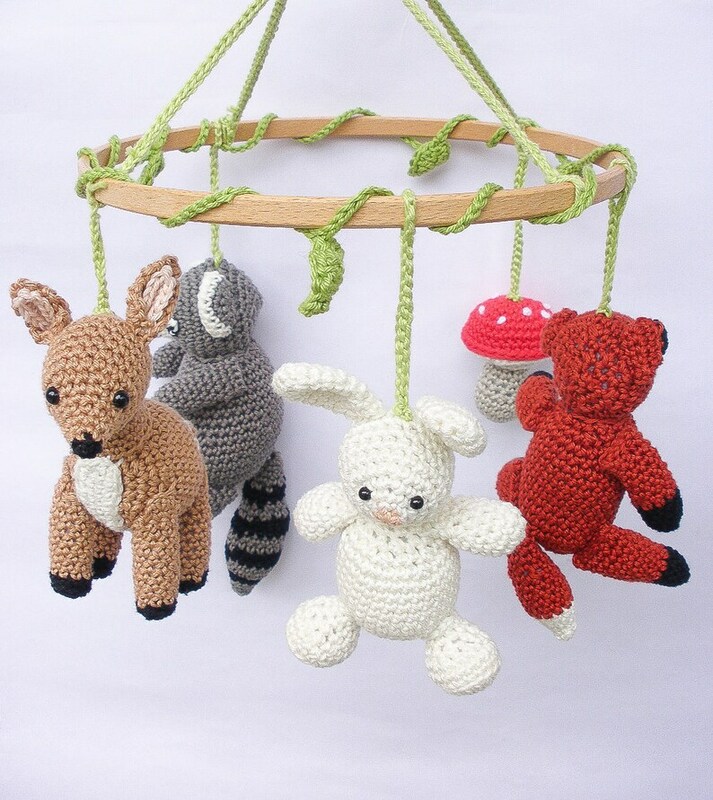 The eye-catching crochet design features a wooden frame with twisted vines and leaves, a mushroom, and four cute little forest friends – a rabbit, a raccoon, a deer and a fox – slightly dangle to capture your baby's attention. - each animal measures approx. 4.7 inches (12 cm) length and 3.5 inches (9 cm) width. 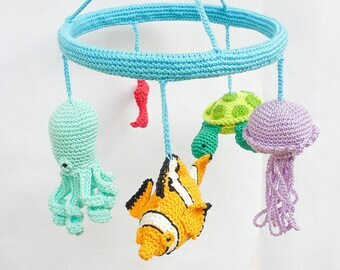 This baby mobile has a small ring on top, and a long string is provided in order to hang the mobile to your ceiling hook. 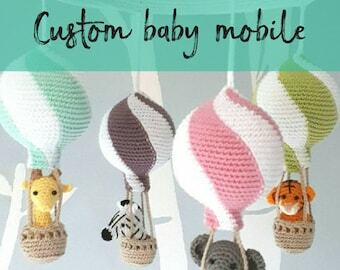 If you prefer to hang the mobile to the crib you can choose to add an attachment arm to your order. 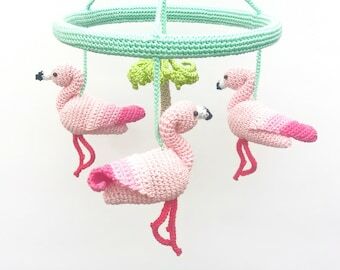 You can also add a music box, which plays a sweet melody and makes the mobile spin around. 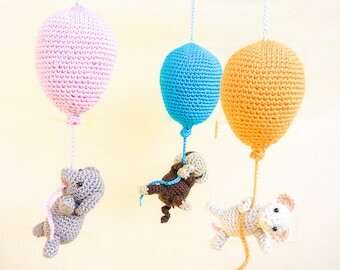 Baby mobiles are not toys, they should be used only as a decoration. 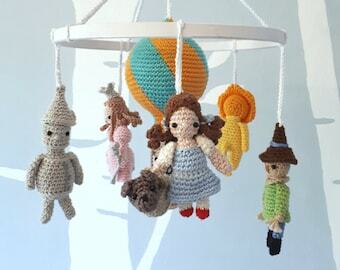 Baby mobiles must stay out of your baby's reach. The most secure way is to hang it to the ceiling with a hook. 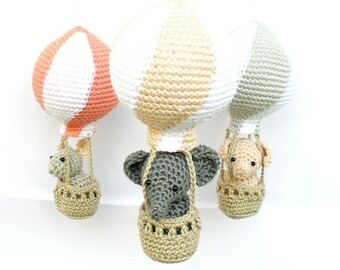 If you prefer different colors, different animals or if you have a special request, just send me a message with the details and I'll be happy to make a custom order for you. This was the absolutely perfect gift for my friend- it got here (to Chicago) in less than a month after ordering all the way from Italy! So beautifully made, thanks again! The mobile is beautiful! My daughter loves it. 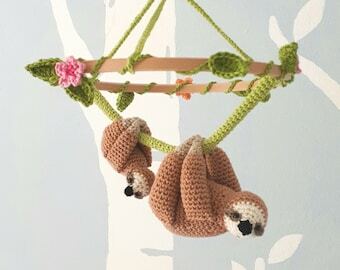 It's going to go perfect in my new grandsons nursery.